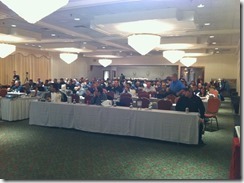 The Fifth Annual Virtualization Deep Dive Day is on. 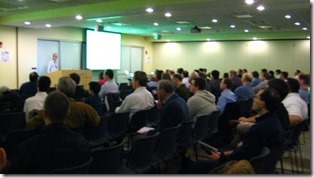 Deep Dive Day is a multi-track event with experts from around the country providing great technical talks covering just about every form of virtualization there is. 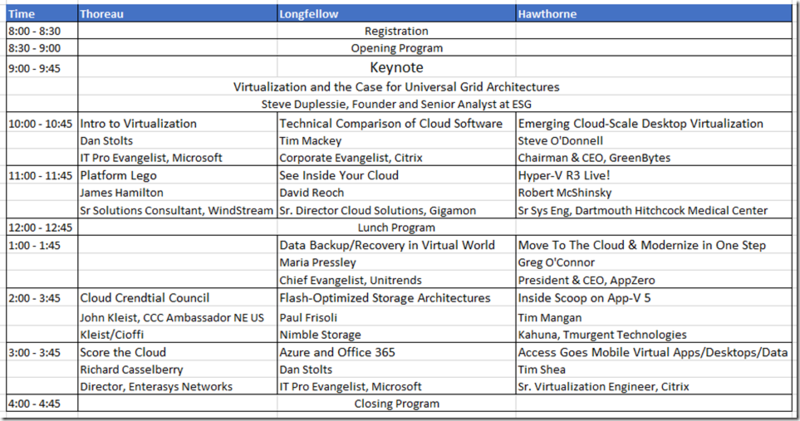 Whether you are new to virtualization, or want the deep technical details on the latest for server, desktop, application, networking, and storage virtualization, plus “The Cloud” and more, you don’t want to miss this one day event. Keynote: “Virtualization and the Case for Universal Grid Architectures” by Steve Duplessie of ESG, an IT market research and advisory firm. Who: All IT Professionals are invited. 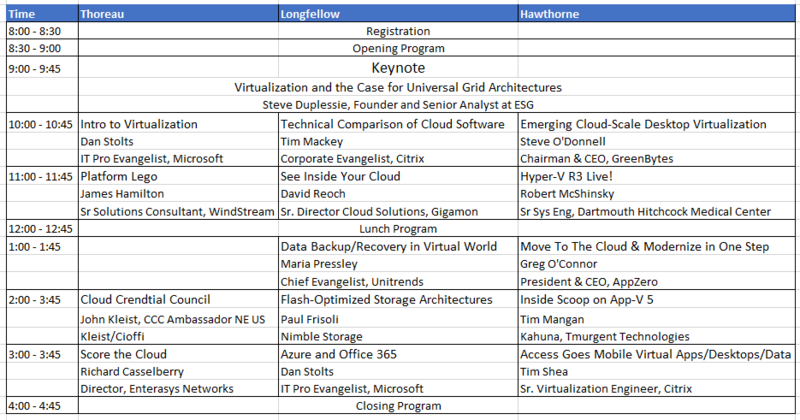 Check out the speaker lineup WOW! There is so munch content that, like last year, and the year before that, sessions will be recorded. Most sessions will be made available to attendees so you do not miss any of the action. Attend the sessions that you feel you will have the most questions on and get your questions answered. Then after the event, go back and review the sessions you attended and/or hit the other sessions that you missed through our website. 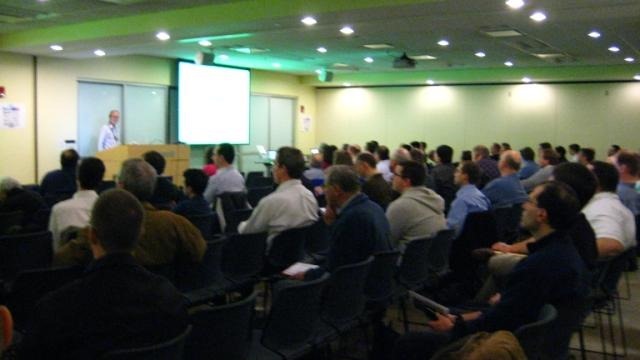 Vendors, speakers and other virtualization geeks will be on-hand to make sure you have an opportunity to get answers to your tough questions. Who knows you just may be able to pick up a bit of swag while you are here. Speaking of swag… For those that attended prior years, you probably recall the line of tables that was completely full of great stuff. We had so much swag that every attendee went home with something. Do you think we can do it again? This year we hope it will be much of the same. Check our out sponsors in the right pane ====>>> Not only are they bringing you knowledge, most of them are bringing goodies. 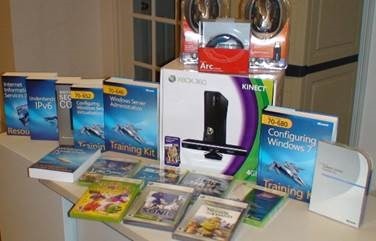 Take a look at the goodies table that Microsoft donated last year (below) which included an XBox 360 + Kinect Bundle, games, books, hardware and software. Yes, we have confirmed Microsoft is doing it again J. Rumor has it that several of the sponsors are also holding drawings for some really cool enterprise software or gadgets at their sessions or tables. More on that the day of the event. Hope Top see you there. Register now and make your knowledge and your career a priority.